I’m a very introverted person. I often wonder why I ever thought teaching would be the right career for me! The noise, the constant talking, the constant PEOPLE. I go home tired, and all I want is some quiet time. This was easy before becoming a mother, but as any parent knows, little ones are rarely quiet. After looking hard at my situation, I realized that my love of peace and quiet has not changed, but sadly, my empathy for other introverts went out the window when I was pressured to meet certain standards, differentiate, incorporate speaking, movement, learning stations, hands-on activities, real-life situations, presentations, and so much more. 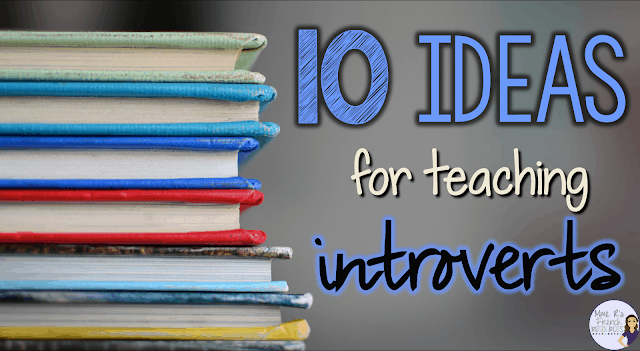 When looking at how teaching introverts is different, the first question we need to ask ourselves is if we really understand what it means to be an introvert. Does it mean the student is shy? Not always. Does it mean he/she doesn’t like others? No! It has to do with how our brains are wired. 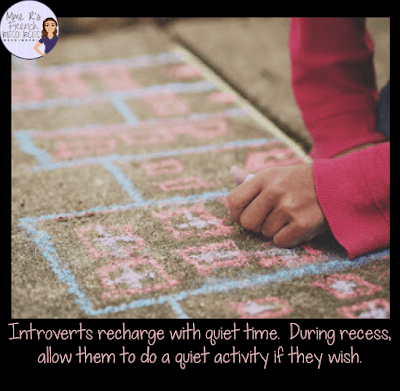 An introvert has a nervous system that reacts more to what is going on around him or her, so overstimulation comes easily and the student is often left feeling worn out and in need of quiet after long periods of time with others. On the other hand, an extrovert feels best with more stimulation, so extroverts feel best when a lot is happening. I could just see certain students shrink into their chairs when I said we were going to play a game or do a speaking activity, and although that would have been me as a young student, the teacher in me just wanted them to participate. I struggled a lot with what to do that would meet the demands of my course while respecting the needs of all students. If you’re familiar with my resources and philosophy of teaching a foreign language, you’ll know that I think getting students to speak is really important. So, what can we do when we need students to speak, yet they want to remain quiet? 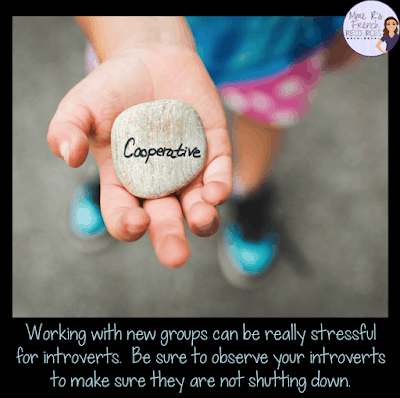 Whether you choose groups ahead of time, number off, or use grouping cards, assigning groups can be a huge help to introverts. I remember my teacher saying, “Everyone find a partner!” as if that was the easiest thing to do for everyone. I would get a sinking feeling in my stomach every time. If only she had seen that this was torturous and just gave us a partner, I’d have loved partner activities! 2. If doing group work, try pairs rather than large groups. This will allow for your introverts to have some quiet discussion with someone and your more social kids will still get to talk and work collaboratively. Think, pair, share is a great way to incorporate group work into your class without stressing out an introvert. 3. Don’t insist that students always work in new groups. I have a really hard time with professional development presenters who come in and say, “Everyone stand up and find someone in the room you don’t know.” Umm…no. I already might not want to be in that meeting, so I surely don’t want to have some strange, uncomfortable conversation with someone I don’t know. To me, talking to people I don’t know is really hard, and as an adult, I’d rather just not. I have learned to navigate the expectations of the teaching world which are sometimes set for extroverts, but I don’t do my best work in this environment. We need to remember that some of our students are this way. Do we want them to learn the concept we are working on? If so, we need to understand that some kids will shut off when they are socially uncomfortable. 4. Give them a quiet place to work. The constant noise and over-stimulation of a classroom can be over-whelming for an introvert. My favorite teacher let me go to the library to work during independent work time, and I was able to do so much better. Even a quiet corner away from others is a nice option to have. If neither of these is an option, allow the introverts to sit on the sides or in the corners. Sitting in the middle of the classroom is a lot of stimulation and can be really uncomfortable. 5. If you have younger kids, allow them to read or play board games during recess. Not all kids want to run around and play games at recess. For some kids, they will recharge the best by having quiet time. If you want or need all kids to go outside, you could have a place where kids could sit and read or do a quiet activity. 6. Challenge your introverts to participate by raising their hands when they really want to share, and then make sure to call on them! As teachers, we know that some students raise their hands every time we ask a question. They may not know the answer every time, but they will raise their hands regardless. On the other hand, the introvert may never raise his/her hand. If you want to encourage them to speak, you could challenge them to raise their hands a certain number of times per week, but make sure that you do call on them when they do! It’s very easy to call on the same kids, so make an effort to give everyone a chance. 7. Don’t base their participation score on how much they speak. Is there another way to show that they are participating? Active listening, maybe? Good effort during partner time? Are they writing reflectively? These are all ways of participating without waving their hands in the air and speaking for the sake of getting points. 8. Help them embrace their own personality. Being introverted does not mean disliking people. I like people a lot. It’s why I became a teacher. However, introverts need quiet time in order to recharge their systems. I feel drained after an entire day with people, yet when I spend a quiet day alone reading, working in my yard, or even working at the computer, I feel peaceful and relaxed. Liking quiet is not a personality defect, and in fact, many people in the modern world could benefit from a little less stimulation. Don’t try to change an introvert. You’ll likely be amazed by what you see or hear from an introvert if you give him or her the time and space to show understanding. 9. Make sure to speak to your introverts each day. Many people overlook this, but this is another form of over-stimulation. Those florescent lights are too bright, and they can really do a number on an introvert’s nervous system. As someone who is bothered by the lights, I have found a way to turn off half the lights in my room. While I have to admit I did this for myself because I got a lot of headaches, I have now spent 13 years with a half-lit classroom, because I have found that all kids really like it. I am lucky to have windows, so we aren’t in the dark, but the natural light is calming for all kids. Those who need the bright light sit directly under the side that is lit, but otherwise, the rest of the class has always loved the calming effect, and they usually ask to turn them off if I haven’t already. What about you? Do you have any tips for teaching introverts or anything you wish people understood about what it is like to be an introvert? 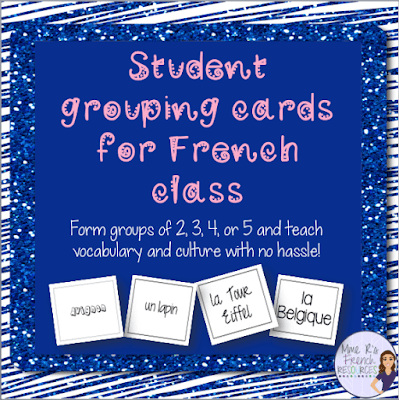 5 ways to help your students master avoir and être! Great article. 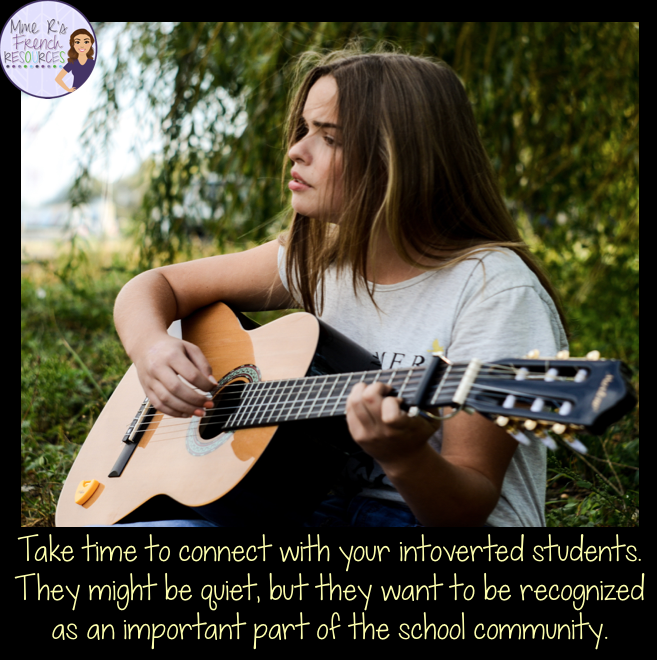 Those introverted students can create a challenge. They sure can, and as a teacher, I really try to remember what it felt like to be in the student's place. It's hard when we want to do our job and it seems like they kids don't want to cooperate, but we need to look at the reasons why. Excellent article! I wish that all teachers would read this and take your advice. I feel so sorry for the introverts in classrooms that have a three-ring circus-like atmosphere. It's great for extroverts, but not so great for the rest of us! I totally agree! As an introverted person, I really struggled in certain classrooms. It's important to remember all students' feelings when creating activities.